How do I get to Hvar? We spent a lovely autumn day in Podstine, just for a change. The temperatures were ideal for light climbing at around 20-25C so we decided to give a go at all the new routes in Sector A, to confirm the grades established by the Italian route-setters. Unfortunately, the new routes were all made using expansion bolts and they are already showing rust, after only about a year. Not only that, but the routes were made by substandard M8 bolts, while most route setters use at least M10 or even M12. Also, many anchors are placed in bad positions and the rope is being scratched while lowering off. 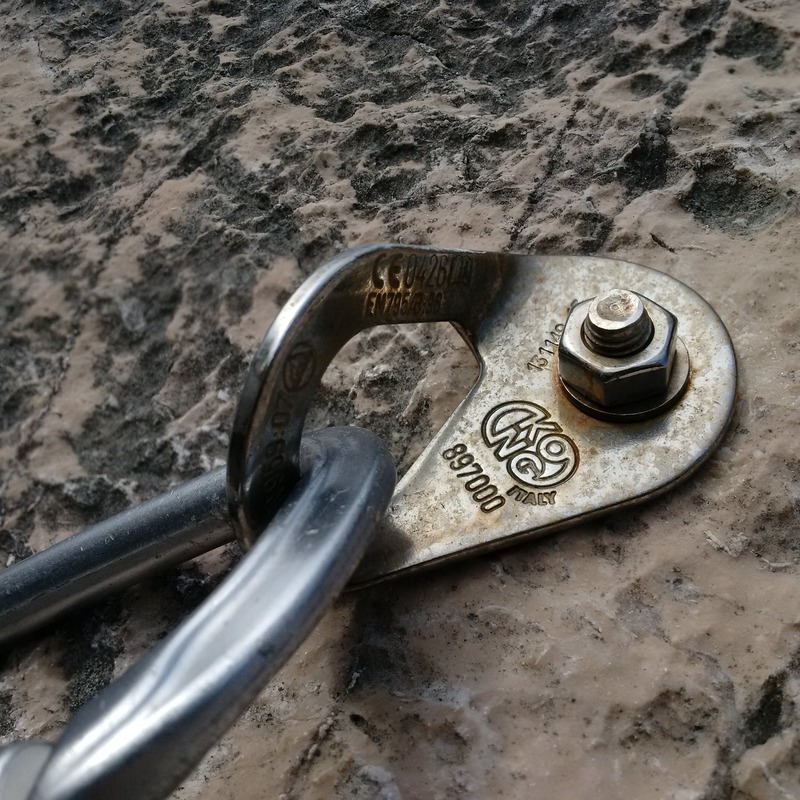 We know it is tempting to establish new routes, but there are very good reasons why local route setters are using glue-in Inox or Titanium bolts. These bolts are ten times more expensive than the M8 expansion kits, but they are made for marine conditions. Expansion bolts can endanger lives of non-experienced or even more experienced climbers in the harsh sea conditions, as we have learned from Thailand and our own Dalmatian experience. Sometimes it is best not to establish routes if, for some reason, you are not able to use glue-in bolts with quality material. Soon, we will need to write a bolting guide to Hvar. Anyway, we climbed all the new routes and suggested downgrades for almost all of the routes. Also we have added warning for rust and bad equipment in the route list. Rust after only 1 year.